A logo is a direct representation of a company and its branding. It is also frequently the first impression a customer gets of a company. Creating a perfect logo is essential to a company’s success, but designing a single image that represents what the company and its brand are all about can be a daunting task. Consider some of these key tips for creating a perfect logo. Before starting to design a logo, you need to know the target audience. A logo for a teenage girls’ clothing store will be vastly different than a logo for a store that markets to professional males. The logo needs to be recognizable by its target audience, and what resonates with a teenage girl is different from what resonates with a businessman. Simple designs are easier to understand and recognize at a glance. The easier it is for a customer to process a logo, the more likely it is that they’ll instantly relate a logo with its company. This task isn’t as easy as it sounds, however – simplicity is much harder to design. Keep the logo design to one “trick,” meaning choose a single design element that is creative and grabs the audience’s attention. Multiple tricks will lead the audience in different directions and they won’t understand the brand. 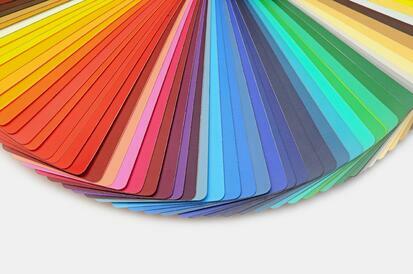 Each color portrays a different physiological feeling and message about a brand. For example, a company that focuses on growth or the environment will typically use a green color, whereas a high-energy sales company will probably use red. It’s important to know the brand intention when selecting a color palette. The typography that goes with the logo often gets overlooked, but it is just as important. As with colors, different typefaces portray different impressions. A company that wants to portray an aura of calm can’t do so with a jagged font, for example. Logos are everywhere, so it’s important to make sure they’re versatile enough to be shown wherever they’re needed and in whatever size they’re needed. Logos go on business cards, websites, advertisements, and official documents, so ensuring that a logo can be properly scaled for each medium is crucial for brand awareness. Also, the logo will not always be shown in color, so making sure it is still recognizable in black and white is a must. We hope this article was helpful. Contact us for help with YOUR logo! Talk to us for 15 minutes and we'll discuss solutions for your existing problems. No sales just help!